Share the post "Hysterectomy Still Main Tumor Option"
A new survey shows that fewer than half of women afflicted with uterine fibroid tumors are being informed by their gynecologists of a minimally invasive alternative to hysterectomy, the most common treatment for the condition. The survey, to be released tomorrow, was conducted on behalf of BioSphere Medical Inc., a Rockland, Mass., company that makes products used in that alternative, which is called uterine artery embolization, or UAE. The procedure typically involves placing blood-stopping particles in the artery that feeds the fibroid tumors, which are painful and cause excess bleeding. The survey, conducted by the National Women’s Health Resource Center, could exacerbate tensions between interventional radiologists — who perform UAE — and gynecologists, who perform hysterectomies. Because nearly all cases of uterine fibroid tumors are referred to or diagnosed by gynecologists, some women never hear about the UAE option. 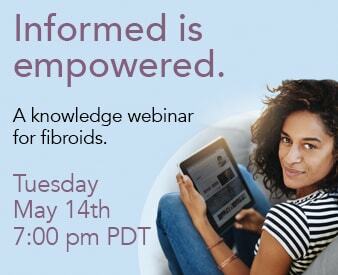 The survey found 40% of women diagnosed with fibroid tumors were told by their gynecologists about the less invasive procedure. Nearly 58% of women were told about hysterectomy. The Wall Street Journal published a page-one story in 2004 about hysterectomy patients failing to hear about UAE. Since then, Secretary of State Condoleezza Rice chose to undergo the procedure, giving it enormous attention. “Women recognized that someone who is an independent, free-thinking person could look at all other choices, and make that choice and do well by it,” says Dr. James Spies, an interventional radiologist at Georgetown University in Washington, D.C. Since 2004, the American College of Obstetricians and Gynecologists began offering information about UAE in its pamphlets that describe treatment options for fibroids. Gynecologists dispute the allegation that they withhold information regarding UAE to retain their patient’s business. “Most people want patients to get what is best for them,” says Dr. Howard Sharp, a gynecologist from the University of Utah and a member of ACOG. Still, ACOG, the organization that sets standards for gynecologists nationwide, maintains a conservative view on UAE, saying the procedure provides only short-term relief for fibroid-related symptoms, and is considered “investigational” for women who want to retain their fertility. Dr. Spies says that opinion is “too simplistic and out of date.” A five-year study, published in Obstetrics & Gynecology and co-authored by Dr. Spies, shows 75% of women who underwent UAE had long-term success with the procedure. While Dr. Spies says that he doesn’t routinely recommend UAE for women wishing to retain their fertility, he says there are circumstances when UAE may be suitable for those women, specifically times when prior surgical attempts — such as myomectomy — have been unsuccessful in removing fibroids. Fibroids are the number one indication for hysterectomy. Of the 600,000 hysterectomies performed every year, about a third of the uterine-removing surgeries are performed to treat fibroids. Hysterectomy requires general anesthesia and a cut into the abdomen. The recovery time is normally about two to six weeks. UAE requires local anesthesia and involves making a small incision in the groin to allow a catheter to be threaded into the artery. Typically no overnight stay at the hospital is required for UAE, and recovery time is less than one week on average. As more nonsurgical options become available to women, hysterectomy could become less popular. In addition to UAE, there are other options including a focused ultrasound treatment, which was approved by the Food and Drug Administration in 2004. There are progesterone-modulating drugs in clinical trials that could be effective treatment options that shrink the fibroid. One drug — AsoPrisnil of TAP Pharmaceutical Products Inc. — is pending FDA approval.